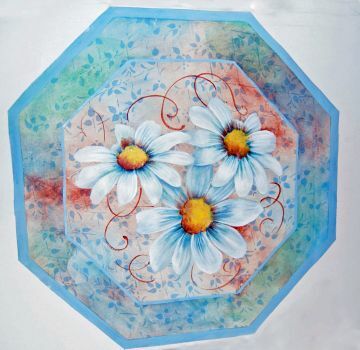 Daisy Table Topper Discounts Apply ! Beautiful white daisies painted on a 16" Octogan Canvas but could also be painted on a table or clock. Pattern packet includes a laminated photo and full color step by step photos.